Uses the older 590 rim size. Please Note: Westwood rims can only be used with Rod style brakes & is not supplied with rim tape. Very pleased with the wheel. It runs true and was very well packaged. I Want A 26 By 1 3/8 Or 1 1/2 Westwood Front Wheel. I want a tyre and tube fitted to this as I have had much trouble with tyres that do not fit rims. Can you do this for me? Hi, yes we can fit the tyre for you. You will need to choose an appropriate tyre from the 26 - 590 category, a tube and rim tape. Place your order then contact our customer service team or sales team to get the tyre fitted before despatch. Thanks. I am looking for compatible rod operated brakes wheels (front and rear) for my 60yo vintage bike. Just to make sure I buy the right product, could you please confirm the ETRTO values for wheels 8570 & 8571? Could you also please confirm that those wheels are coming with spokes (basically when receiving these items, I only need a tube a tyre and rim tape to make a usable wheel)? Also, could you please confirm that the rear wheel ref:8570 is compatible with single speed, but not fixie, no back pedalling? Both the front and rear wheel are 26 x 1 3/8" which use an ETRTO of 590mm. Yes, these are fully built wheels and include the spokes. The rear wheel will be compatible with a screw on single speed freewheel, the threading is all the same therefore would not be able to be run fixed as you would not be able to use a locknut. 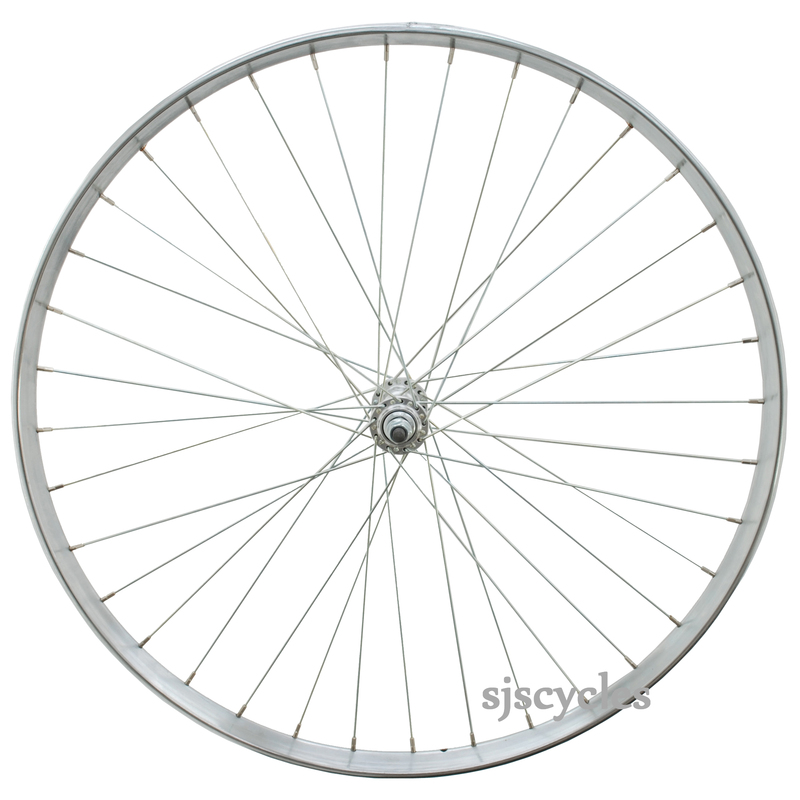 Is This Wheel Suitable For A Raleigh 3 Speed 1975 ? the axle is 90 mm. Without more information about the bike its hard to say for sure but unfortunately I don't think so as the OLN spacing on this wheel is 100mm.